For some time now New York Review Books has been re-publishing books which have been out of print for a while. This seems to me to be an excellent idea. In fact, it might be good to have a one week moratorium on new books once a year, call it Reprint Week, and dedicate it solely to old books which have been needlessly forgotten. I have decided to carry a tiny notebook to remind me of words I would like to use but never seem to get the chance to. One of them is going to be “tantony” which is on page 50 of this book. There are sections on collective nouns with things like a gundulum of garbage cans, a snigglement of string and a tumbletell of church bells. 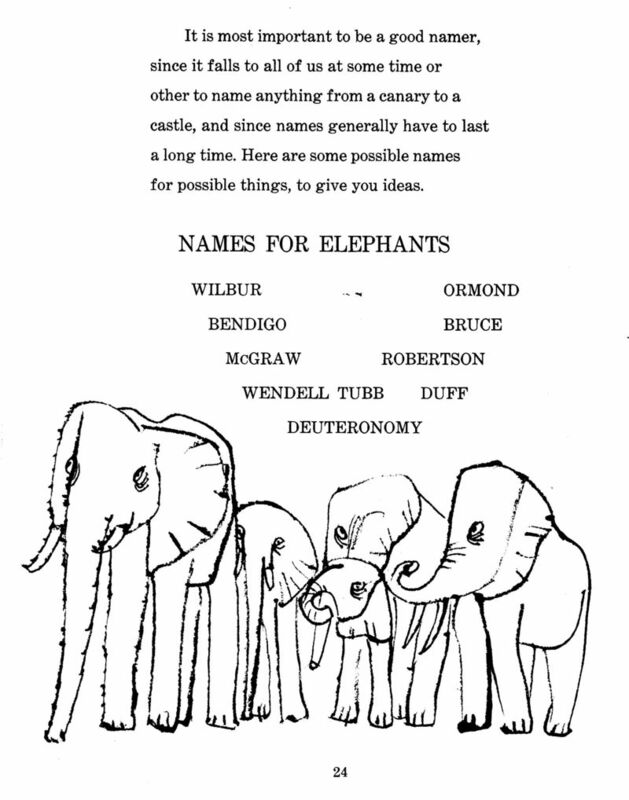 And a large part of the book is about naming with names to give to twins, to various animals, for houses. Here is a useful page which will allow you deal with one of the many problems you will have if someone gives you an elephant for your birthday. And when was the last time you talked to the fingers properly ? 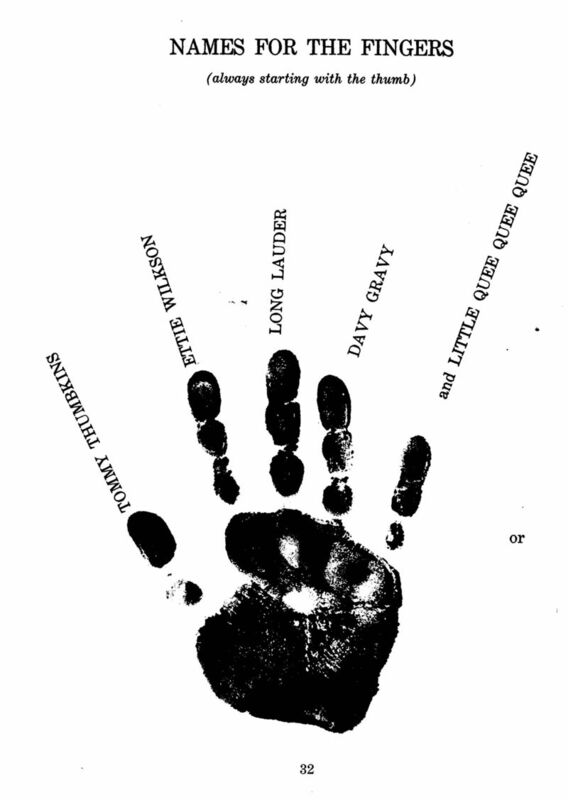 A completely different set of names is suggested for the other hand. 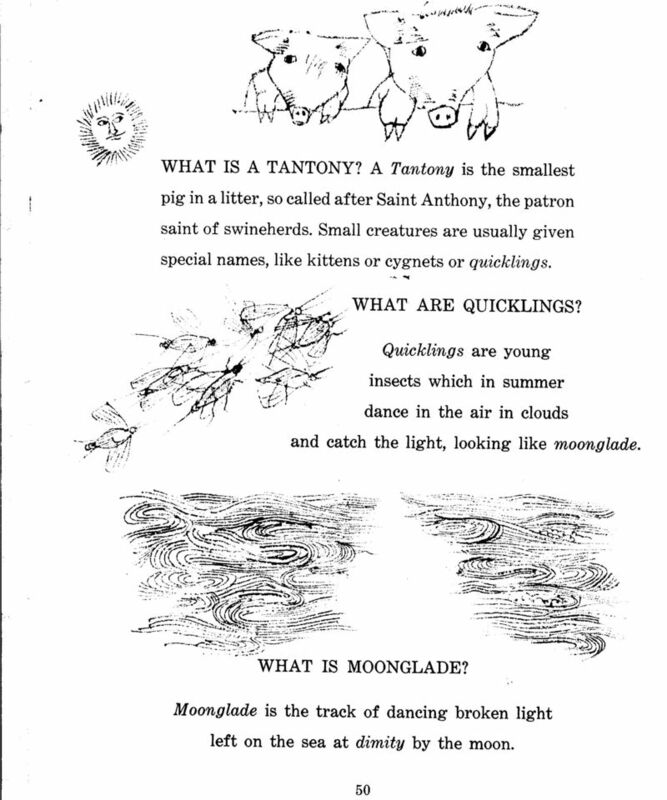 There are lots of other fascinating words, such as gongoozler, thrumbled and pobbies. One particularly valuable one is PONSONBY, which Reid says is pronounced whenever you want to change the subject. I think that in the same way that basketball coaches are entitled to time-outs we all should be entitled to say PONSONBY at least once under certain circumstances, for example those long formal dinners where you end up seated to people none of whose interests seem to intersect yours. Alastair Reid’s love of words is very visible in his poems. Whenever I read one I have the feeling that all the words have been selected from a carefully tended garden. One I like a lot is called Daedalus. My son has birds in his head. cacophonies, their chitterlings, their coos. His is a bird world. his moments of swoop and soar. the slow folding of wings. the trees and rooftops of his heady wishing. his feet will reach the ground. Age, like a cage, will enclose him. So the wise men said. You can also hear him reading it at the Poetry Archive. 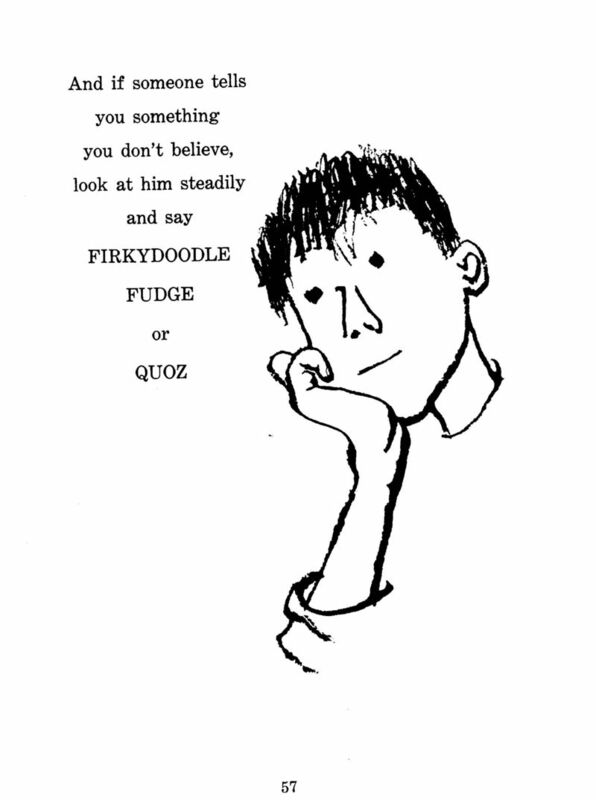 Finally the last page of Ounce Dice Trice also has a good thing to say, particularly if one can learn to copy the attitude and the expression of the boy in the drawing. I dip into my copy of this book and never fail to smile.